It has been nine months since we launched InHouse Records in HMP Elmley, and we have expanded to a further three prisons, and upgraded our service, as we continue to develop InHouse Records both inside and outside of prison. Honoured and humbled to be able to speak at the Royal College of Art about InHouse Records. The initiatives that are being highlighted are all making an impact right now, they are not just proposals for innovative new services, they are being actively deployed in townships in South Africa helping get disadvantaged kids from care homes into meaningful careers, transforming the prospects for effective healthcare my Medecin Sans Frontiéres, and these are just three of the projects that will be presented on Monday 25 June. The Service Design Programme at the RCA is unique in both scale and scope, with over 80 service designers most of whom are applying their creativity to transform society through public policy and service innovation. In my second year on the Service Design course at the Royal College of Art, I was keen to explore the intersection of design thinking, social change, and enterprise. At the time, I had spent 18 months undertaking extensive research into the UK prison system, collecting insights from prisoners, officers and governors. 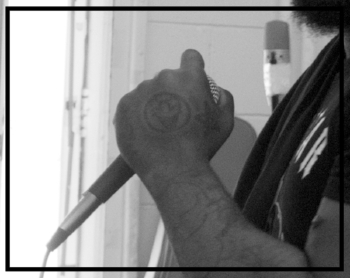 The worlds first record label to be launched in a UK prison.